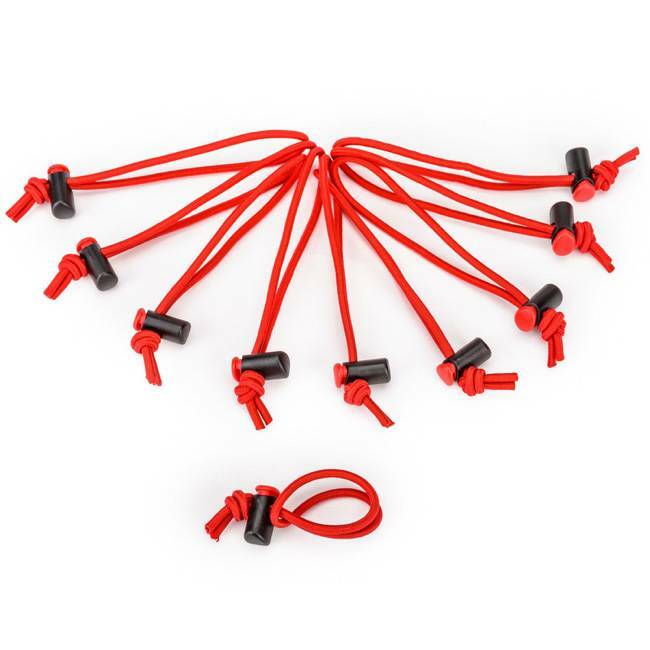 This 10-pack of red Red Whips Adjustable Cable Ties from Think Tank enable quick, neat cable management by keeping cords together and eliminating tangles. They are also useful for luggage identification, thanks to their bright red color, and have numerous other possible applications. These durable elastic wraps have a barrel lock cord closure for easy size adjustment.